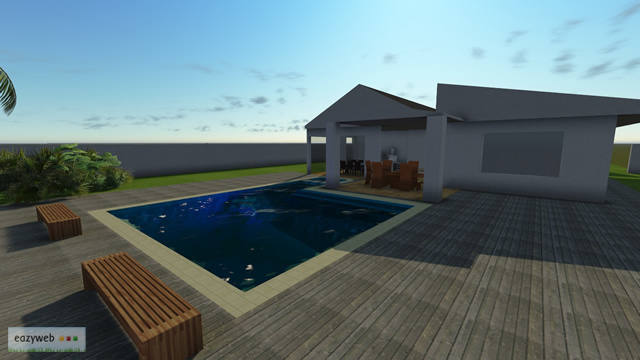 Brief: To create a simple, clean architectural visualisation of a proposed pool area for a new build home. The home does not exist yet, so we had to create an accurate representation of the building from supplied paper plans, and then model an optimised house mesh together with ancillary models to support the visualisation. 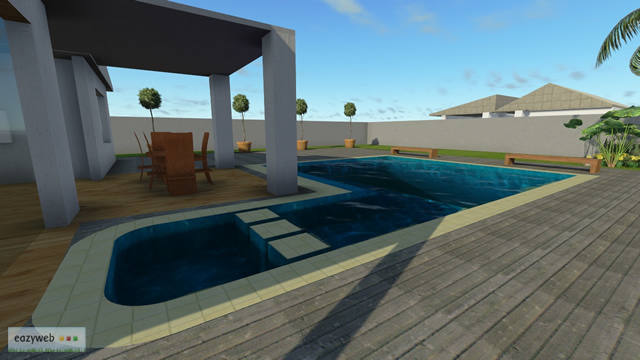 A bold & striking pool design was created and placed within an attractive outdoor environment, encased in tile & decking, and contoured to fit the external shape of the rear of the building. 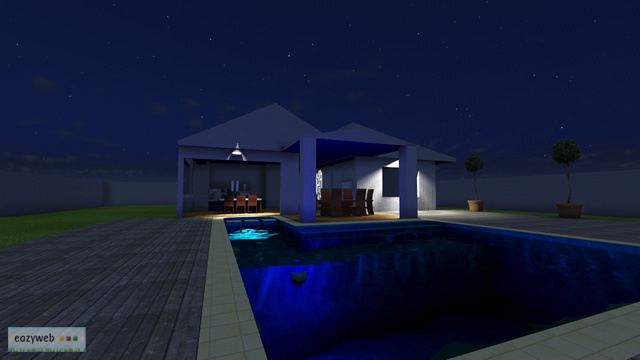 The finished visualisation has been very well received, and is now pending final sign off with the client.